MacStadium FAQ: How do the different Mac computers compare? 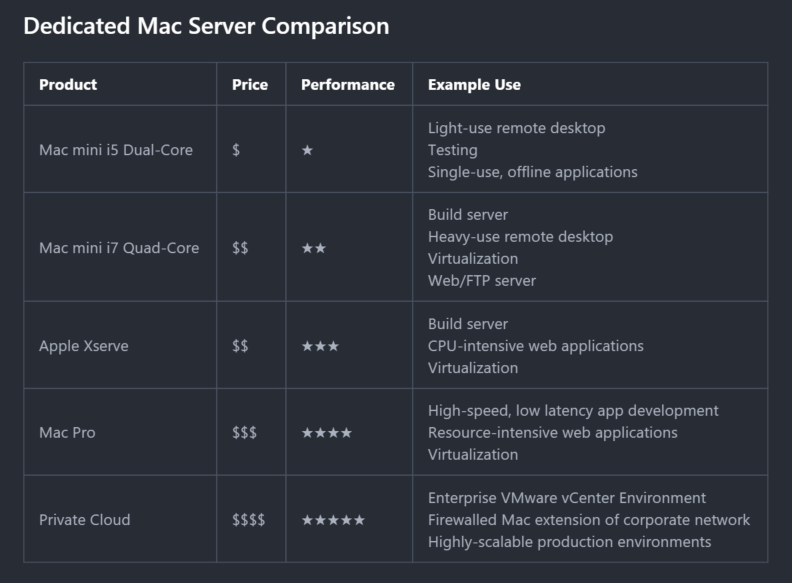 How do the different Mac computers compare? We shared the following graphic in a blog post about growing pains to explain the different levels of dedicated servers available. While there are plenty of other use cases for each level of server, this is a baseline to develop your infrastructure environment. Keep in mind a private cloud can consist of any of the single dedicated servers in the graphic so price and performance can vary dramatically.